Diagnosing your hard drive correctly is key to recovering your data. If one of our technicians has determined that your issue is a filesystem based issue, then we will typically recommend a data recovery software – either an in-house product, or that of another developer, and your data should be immediately recovered. In cases where we determine that you have had a physical hard drive failure problem, we typically recommend that you send your hard drive to our fully appointed data recovery clean room. Shipping the device is very easy, but it does require a certain level of care. Once we receive your hard drive or storage media, we log into our production line and ensure it is processed for immediate hard drive recovery. From there, if there are any further issues recovering your hard drive, we will contact you directly to discuss them. However, our diagnoses are correct in close to 95% of circumstances. If your hard drive has been physically damaged, we will then take steps to physically repair the hard drive, or at least to clone the hard drive platter, even if the drive cannot be made functional. By taking this initial cloning step, we can ensure that your data is never at risk during the actual recovery process. Next, we perform all of our data recovery processes on a sector by sector basis on your hard drive. If you have requested an expedited service, we will ensure that your drive is given first priority and make the arrangements to ship you your data, either by mail or electronically. With Hard Drive Recovery Associates, data security is a key cornerstone of our service. We consider privacy to be one of the most critical responsibilities of any data recovery company, and treat every client’s data with the utmost discretion and confidentiality. In the end, we rarely see individual files as anything but a part of your entire hard disk drive. This level of discretion is why several government departments trust Hard Drive Recovery Associates with their important data on a daily basis. Once we have effectively repair your hard drive and recover all of your data safely, we can return your data to you via a number of avenues. We can provide you with a new hard drive and ship it immediately, or save your data to portable media, such as DVDs. Additionally, we can also enable you to access your data remotely by storing it online. Many of our clients prefer this service because it enables them to download their data directly from a high-speed Internet connection. This process is completely secure and ensures that the only eyes that see your data are yours. We always ensure that we keep a copy of any recover data on hand for 90 days to ensure that you have not only successfully reinstalled your data, but have maintained a solid backup. Once you inform us that you no longer need our online storage service, we simply cancel the account and purchased from our secure storage facilities. 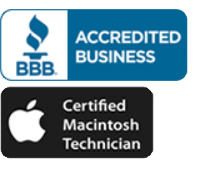 We welcome any kind of questions about our company or the data recovery process in general. Please contact us here.